Keeping on the subject of nasty cinematic affairs, Troll 2 is another movie widely regarded as one of the worst and a few daring ones will go out on a limb and claim it is the very worst ever. 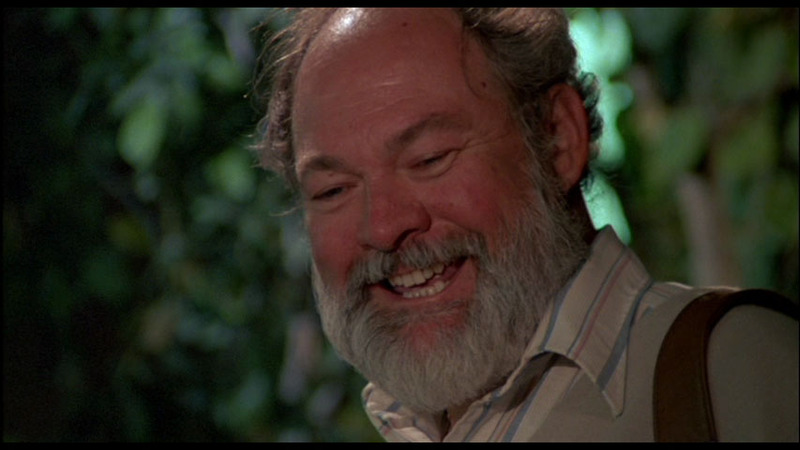 As I discussed a few days ago, I reserve that honor to Manos The Hands Of Fate and I can’t even say that Troll 2 reaches the unbearable torture of experiencing a Coleman Francis film. 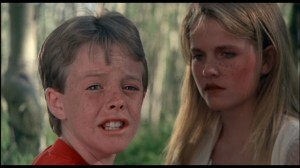 In fact, I’m going to be controversial here and say it aloud: TROLL 2 IS EFFIN’ BRILLIANT. No, I’m not drunk and I didn’t eat the strange mushrooms this time. 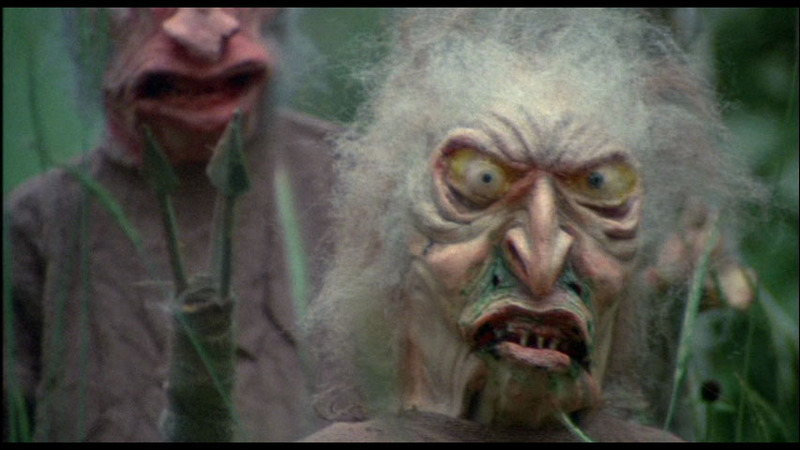 I honestly believe that Troll 2 is a highly entertaining movie and, more so, its producers intended to be that way. Certainly, it probably wasn’t their idea at first and it shows within early moments into the movie: everything is downright appalling, from the wooden acting to the soundtrack reminiscent of a Sega Megadrive and going through the idiotic storyline. Can you imagine a family trading houses with a bunch of hillbillies from the forsaken Nilbog town? NILBOG?! For crying out loud, I’m not sure whether to applaud or scorn the mind that came up with the wonderful Nilbog idea (in case you haven’t realized, it’s Goblin spelled backwards). And check this out, they actually save that for a revealing twist at half the movie. But I digress: who in its right mind would trade places, that is, leave your home and everything in it to another family you have never seen or heard of before? I mean, I know about exchange students but exchange families – surely that can’t be possible! You are SO going to love this kid. Anyway, our heroes in Troll 2 are the Waits family, entirely performed by actors who barely worked in other movies. And surprisingly enough, they all ring a bell. As I was enduring this thing, I was constantly wondering about where I’d seen these folks – I was certain I had seen them before, but no, that wasn’t the case. They were just plain people resembling real actors. The Waitses are hands down the most awkward family to appear in a movie and they make the Griswolds and Tenenbaums seem normal. They consist of the mother, or a cardboard that represents the mother, father, their teenager daughter and an annoying brat called Joshua. While in Nilbog, they are forced to deal with pesky goblins and their persisting efforts to turn them into plants so they can eat them (because goblins are vegetarian). Of interest here is Joshua since he’s kind of the ultimate hero that will fight back the goblins with help of the ghost from his deceased grandfather, or a plank that represents the grandfather. I should point out while I have the opportunity that, for the purposes of this movie, trolls are the same as goblins. 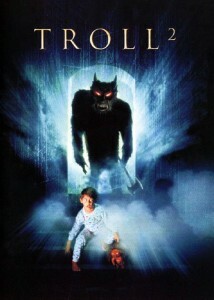 At least that’s the only way that we can explain why this is called “Troll 2” and not “Goblin 2″. All in all, the Waitses are sort of likable in a bizarre and masochistic kind of way. I often found myself rooting for them. Get it? ROOTING. Aaah, I’m in such a silly mood today. He acts in the film as much as he moves on this picture. Now you probably think I must be out of my mind to claim this movie is brilliant with what I have told you so far. Without question, the first moments pointed to a massive wreck of filmmaking, something that could top the poop de la poop. 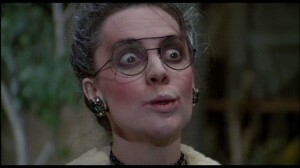 But everything changes with the appearance of Creedence Leonore Gielgud who I assume would be the queen of the goblins. Creedence unquestionably ranks among the hammiest and goofiest characters ever. She’s a sight to behold alright. Nothing of what I can tell you on these few paragraphs could prepare you for her sparkling performance. She’s hypnotic. And deranged. I love her. 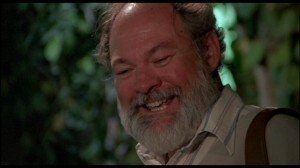 Once Creedence shows up, the fun factor of Troll 2 skyrockets from rock bottom to cosmic. Her face is a constant grimace ranging from the grotesque to infantile, sort of like a cross between a wicked ugly old witch and a politician. Plus, she moves like a marionette. I honestly can’t believe an actual human being was able to produce so many wildly different faces. And that’s not all: at one point in the movie, Creedence summons her magic powers to become a stunning woman rivaling Elvira (assets included) which is more or less fine by my plot standards except she’s played by the same actress. This transformation is bound to leave you speechless (among other things). Unfortunately, the actress, Deborah Reed, has never appeared in another movie and I must say this is shame because she showed a lot of talent (among other things). My theory here is that the filmmakers realized just what a disaster Troll 2 was going to be and decided to make it even more goofy and outrageous. There’s no other way to explain what happens next: to save his family from eating a poisoned goblin lunch, Joshua actually stands on a chair and pisses all over the table, when just pulling the tablecloth would have been enough. An unintentional funny moment comes next when the father drags Joshua to the bedroom and once inside opens his belt, and I was like “oh boy, don’t tell me he’s going to piss him now”, but unfortunately all he does is fasten it arguing they lack food now. And that’s only the beginning: at one point in the movie our dearest Creedence, while turned into a femme fatale, uses a corn as a weapon to dispose of a geeky teenager. I can’t put this scene into words but, suffice to say, it left me stone cold after which I bursted into tears and laughs. It’s so unexpected, so illogical, so… words fail me on this one but it elevated Troll 2 to instant legendary status. It’s impossible that anyone filmed this scene seriously — I’m hoping. She does that... a LOT. And finally, our good Joshua defeats the nasty goblins with a gift from his grandfather, a most secret tool concealed in a bag which specifically had to be opened only as a very last resort… a double-decker bologna sandwich. My friends: A BOLOGNA SANDWICH. And he eats it while a desperate Creedence warns him about the cholesterol. This was pure genius and a riveting finale to say the least. 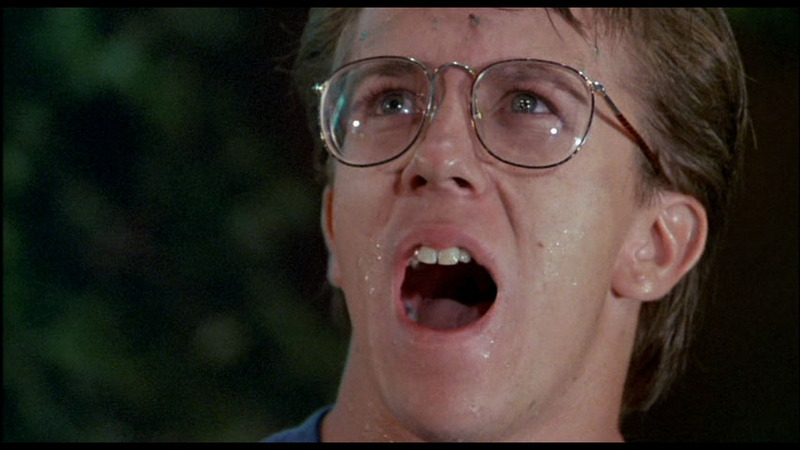 No, seriously – I’m convinced that Troll 2 was a tongue-in-cheek movie on purpose and as such can’t be considered one of the worst. If anything, the key scenes I mentioned redeem everything else and turn this into a wildly entertaining romp. And if I’m actually wrong and they intended all of this on purpose, then may God have mercy on own souls. They must have been very proud of this costume -- it has about six closeups in the film. Troll 2 can be acquired from MGM Studios. I feel quite similarly about the infamous Star Trek TOS episode “Spock’s Brain”. It is commonly considered an awful travesty, but I was dying from laughter at many points and I’d be very surprised if the comedy and the super-over-the-top lines weren’t intentional. I consider it much funnier than the popular Tribbles episode. If you look up the backstory, it was intended to be a serious film. The writer, director, and crew were all Italians and spoke no English. The script was written like this and the director insisted all of the actors read the lines in verbatim despite their attempts to help them at least make the lines grammatically correct. I could do on but the entire thing top to bottom is so gloriously absurd that you should take it all in yourself.